Some years ago I thanked someone who had just finished giving an brilliant speech for his “excellent apology”. His immediate and none too friendly retort: “I wasn’t apologising!” In fact he had just been giving a masterly explanation of why he had followed a particular course of action. As we were in an Oxford college at the time I had assumed that he would interpret my comment in the light of the traditional meaning of ‘apologia‘, being without any sense of regret “a formal justification or defense”. That’s what I’m doing here, presenting a justification for this website. Why is a justification needed? Well, maybe it isn’t. After all I have plenty of other sites on all kinds of subjects. Why not one on Westmorland? But somehow I feel that an explanation is called for. The key point is not that I now live in Appleby in Westmorland. I’ve only been here since 2011; very much an off-comer, although I can claim to have been born in another part of what is now Cumbria so in overall Cumbrian terms I belong. But what about Westmorland? The story goes back many centuries. My forbears (on the maternal side) are recorded in the gravestones and registers of the parish churches of Burneside, Staveley, Selside, Grayrigg, Orton and more. They’re in the census returns and early records at ancient houses such as Godmond Hall, Burneside Hall and Ashes Farm in the lower lands, to mention just a few, while others had their sheep on the heights above Longsleddale and Bannisdale. Ever since my first exploits in the Westmorland County Record Office and explorations of previously unknown (to me) tracks and lanes, not to mention initially unfamiliar place names like Skelsmergh and Strickland Ketel, back in the 1970s I’ve known I belong here, even though life had taken me far away. Then one of my sons moved near to Kendal and (without knowing it) bought a house just down the lane from his ancestors. On retirement we quickly returned to the North. As a family we’ve come full circle. So that’s it. Westmorland is home – both now and from the distant past. Some of it I know well, and have done from early childhood. Other areas I came to know during professional involvements in Cumbria during the 80s. Some parts I’m just beginning to explore. I’m happy and proud to be Cumbrian, but I also want the historic counties to be remembered. The fact that the Lake District once spanned three counties (Lancashire, Westmorland and Cumberland) is now all but forgotten except by us oldies. I’m proud to be Cumbrian but also proud to have been born in Lancashire, in ‘Lonsdale North of the Sands’, and thereby be entitled to toast “The Queen, the Duke of Lancaster”. 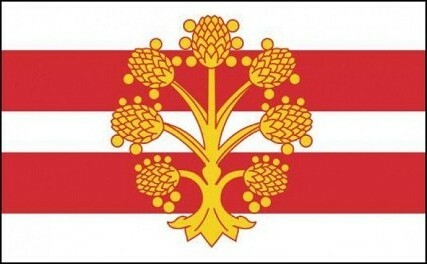 I’m proud to be Cumbrian but am also determined to stake my claim to a Westmorland heritage. Maybe I’m claiming to be some sort of mongrel, but I’m proud of it. So that’s how I come to be starting this site, Wonderful Westmorland. Appleby in Westmorland, August 2013.
ps. How quickly will the site grow? Good question. I don’t know the answer, but things will be added from time to time.